As you can imagine, I was reluctant to purchase the property without understanding the environmental pollution situation. 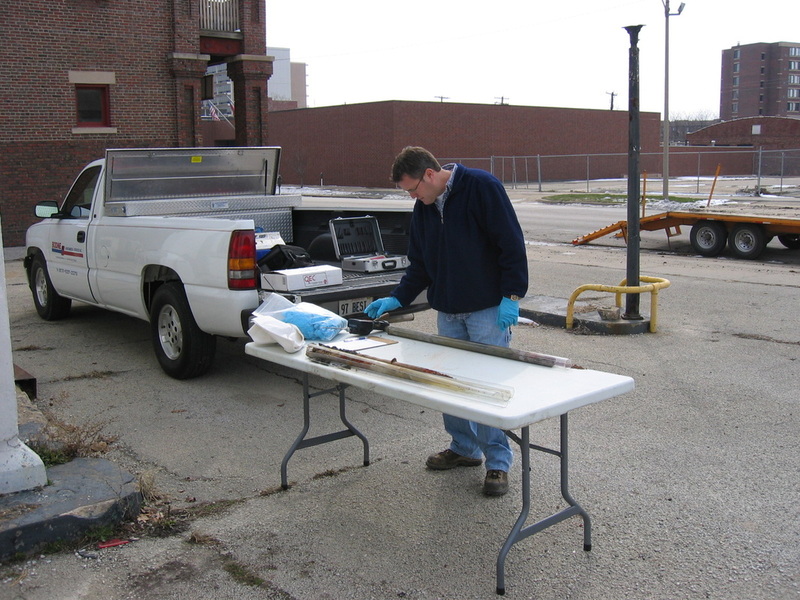 The seller was not able to undertake environmental testing, however. 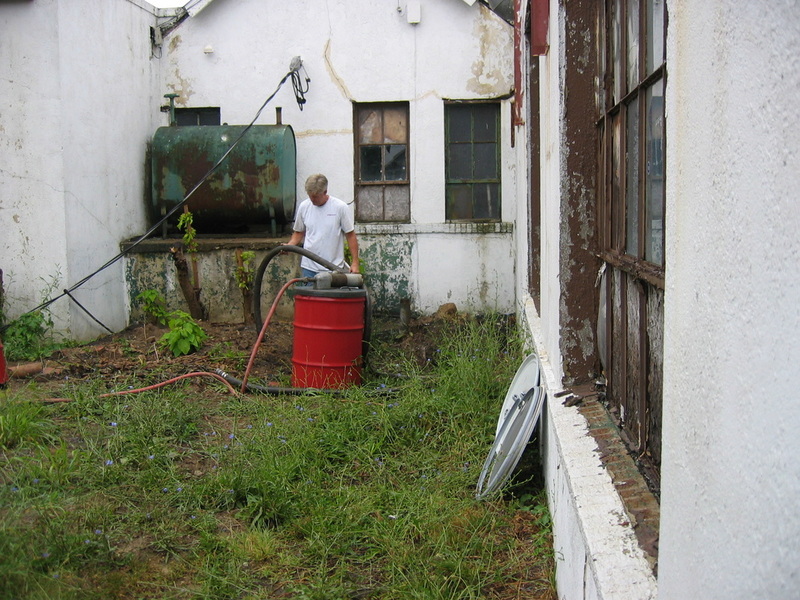 I decided to make an offer on the property, contingent on the results of some preliminary testing. 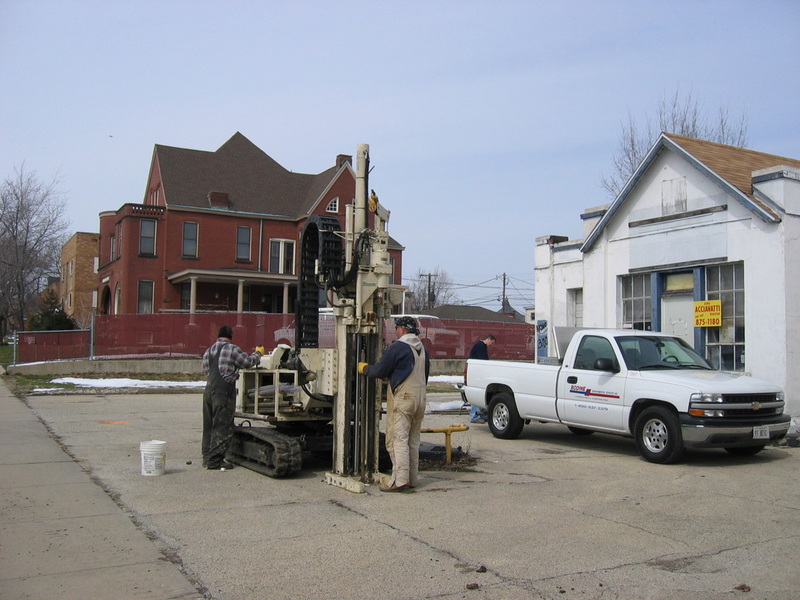 After I had that testing done, with great cooperation from the City of Decatur, I acquired the property and began the over-6-year quest for a Letter of No Further Remediation from the Illinois EPA. 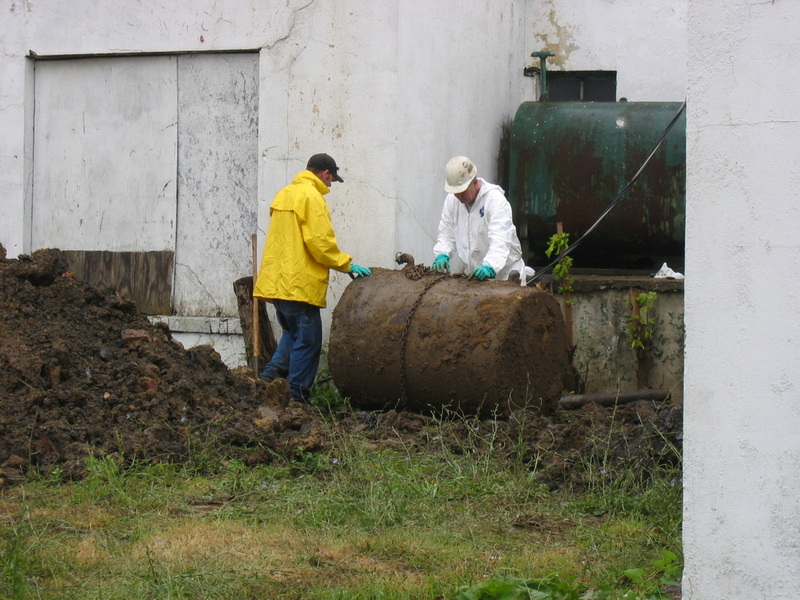 Even though the contamination was relatively minor, environmental consulting services and EPA fees made up a substantial portion of the overall project cost. 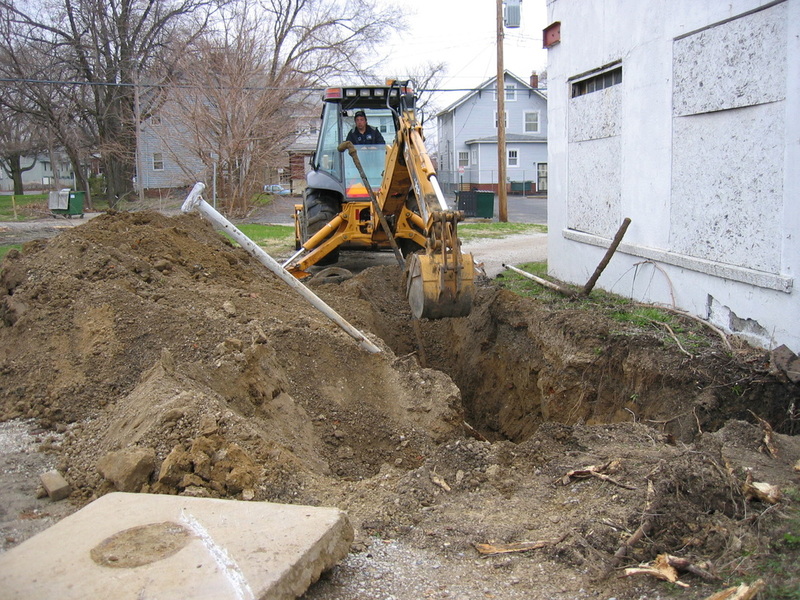 Buried at the rear of the building, an underground tank was the receptacle for used motor oil. There were drain pipes in each service bay to direct oil to the tank. We pumped the old oil from the tank and removed it. We also removed the green fuel oil tank for the furnace. The fuel oil tank stands on what was originally a coal bin - still some coal in it. The east service bay has an oil change pit - a full basement, if you will, under the bay. 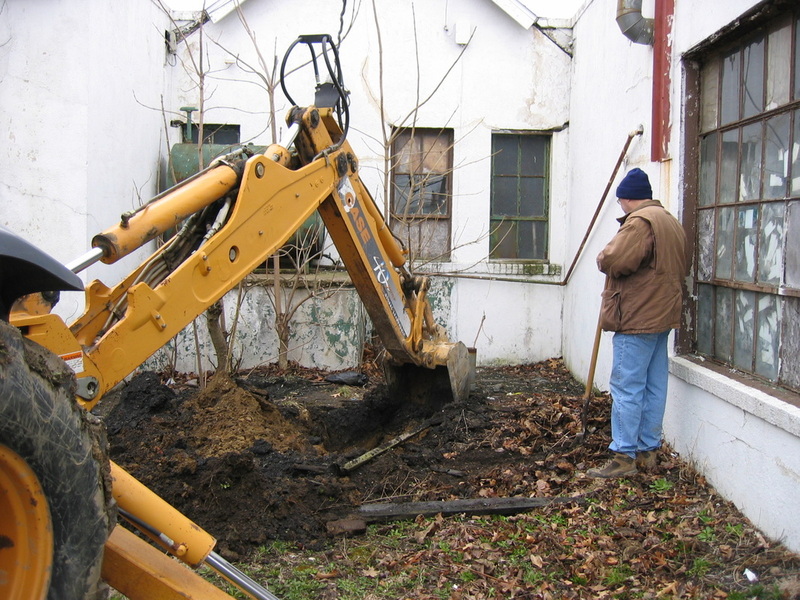 The door to this bay had been boarded up many years ago, and the oil change pit became a trash pit. 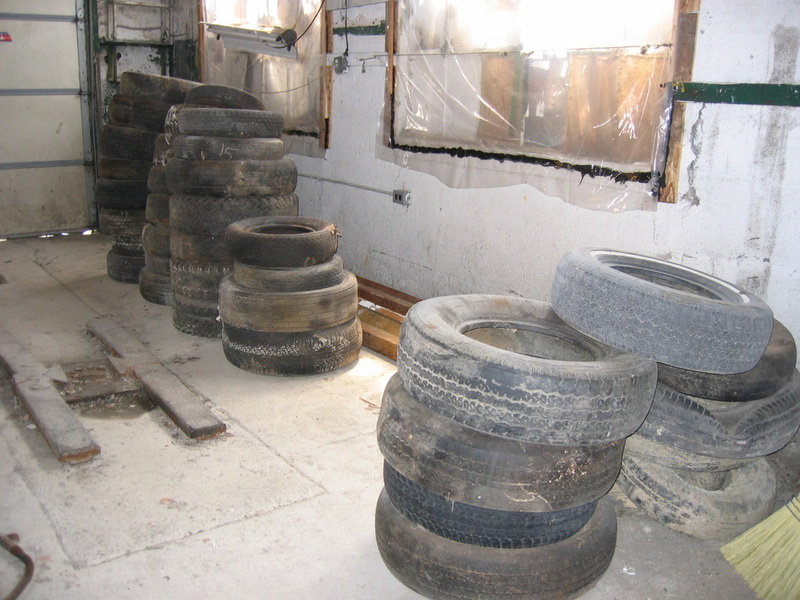 Among the debris were 45 tires (some shown below) that were taken for recycling.